But what about the stuff in the middle? What happens between giving an assignment and grading the assignment? Do teachers see what happens? Do students share what happens? Do we talk about what happens during this process? do we know what is there? What is in the middle? 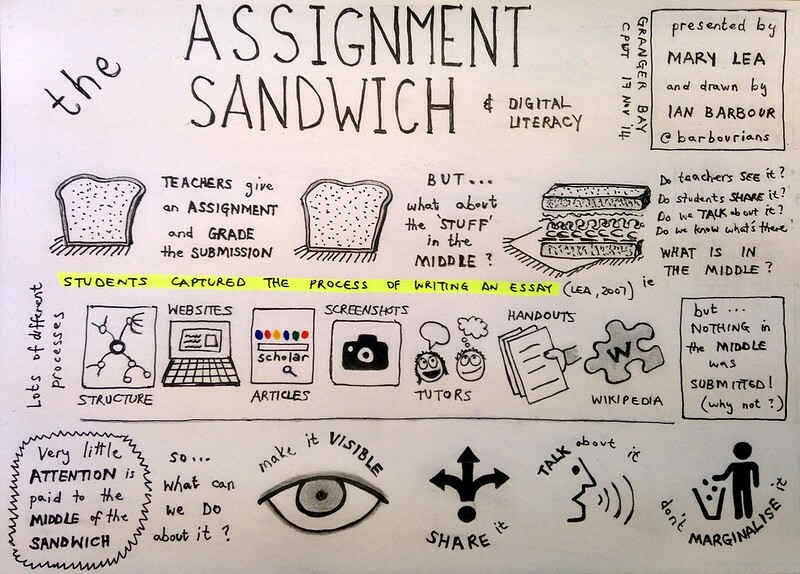 Very little attention is paid to the middle of the assignment sandwich! So what can we do about it? Well we can make it visible. We can share it. We can talk about it. Maybe even get the students to submit it with their assignment. What we must not do is marginalise the process.